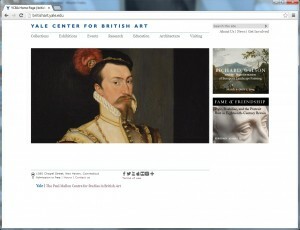 The Yale Center for British Art’s vast online collection is a great resource to use in the classroom. 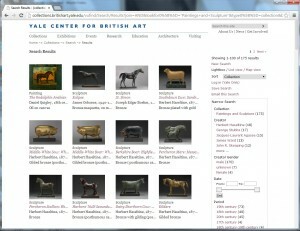 Here are step-by-step instructions with images to walk you through a topical search of the online collection. 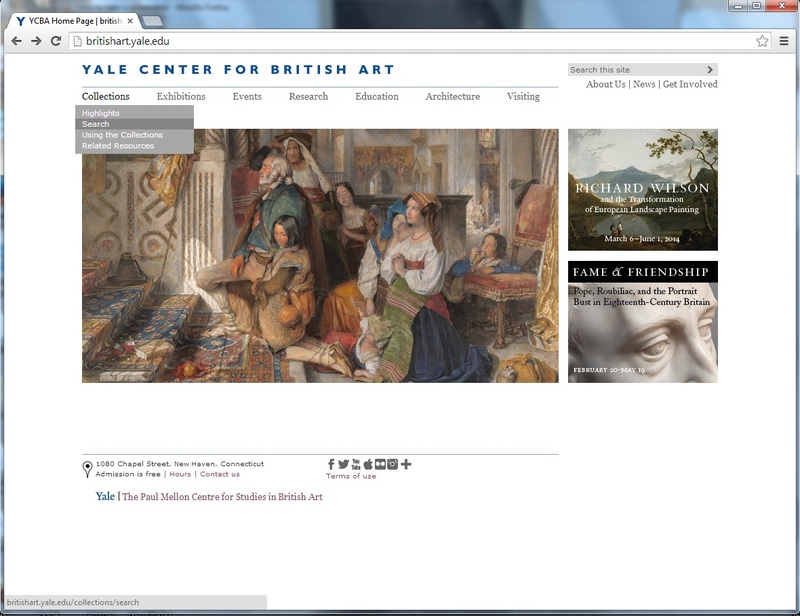 Step 1: Go to the Yale Center for British Art website. You can click here, or type in http://britishart.yale.edu/ into your web browser. 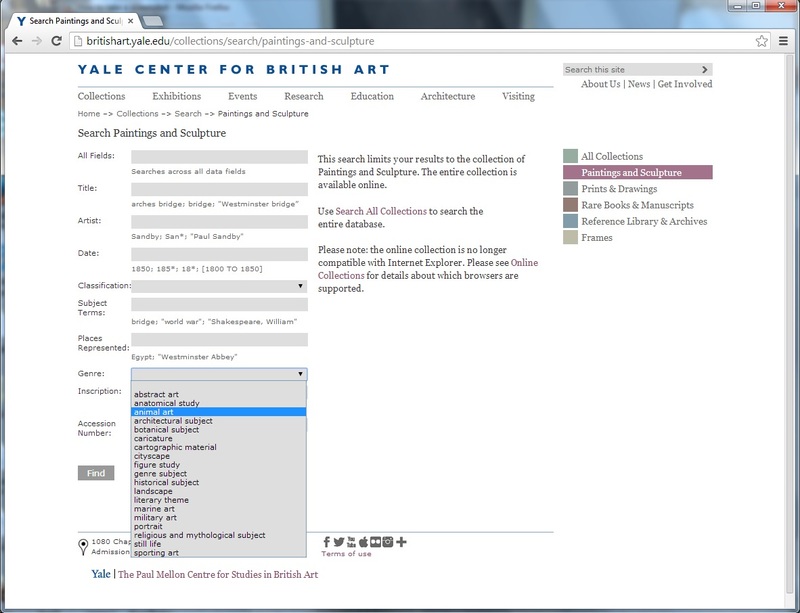 Step 2: Under “Collections,” select “Search.” You can also click on “Highlights,” “Using the Collection,” and “Related Resources” to find other materials and information that can help you in the classroom. 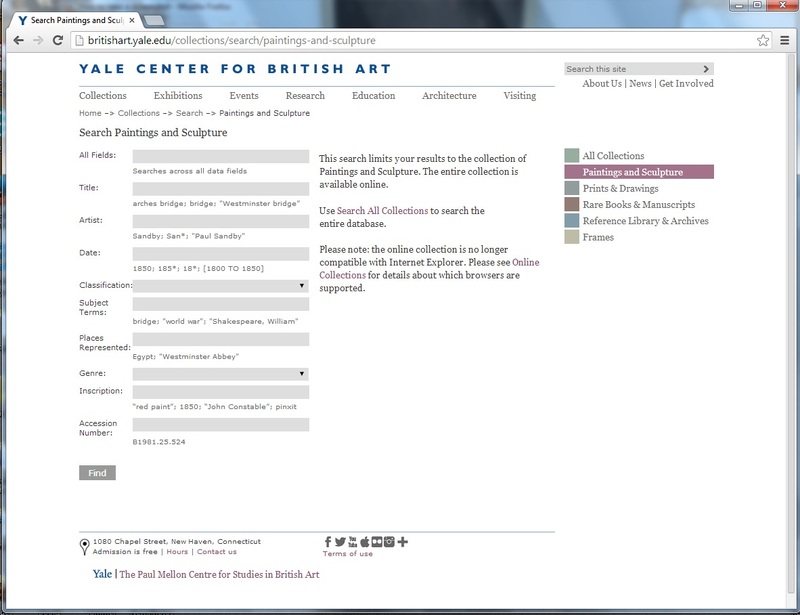 Step 3: After clicking on “Search,” the “Search All Collections” webpage will come up. 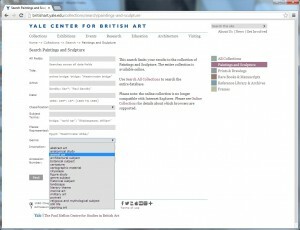 You might use this search if you are looking for a specific painting or various works by one artist. 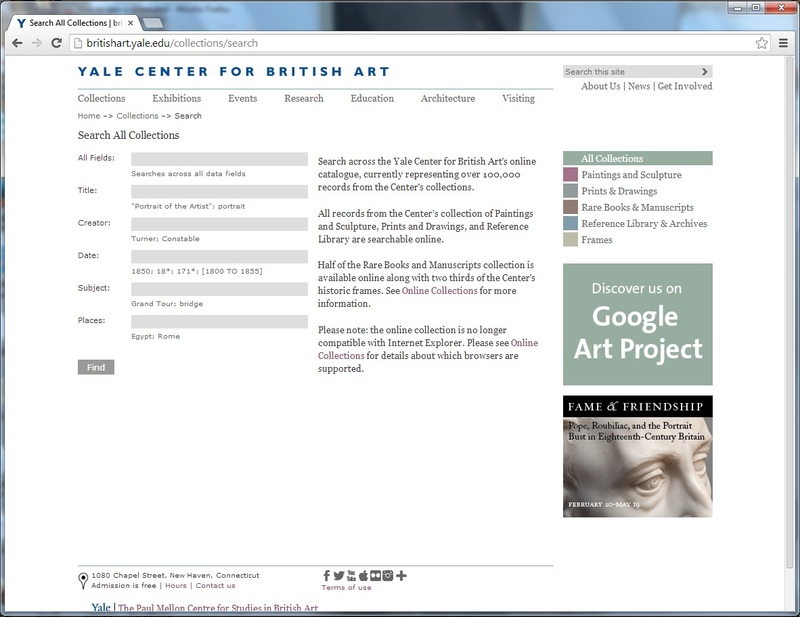 Searching all collections will give you artwork and literature across all mediums. To narrow your search, look to the right hand column and decide what you are looking for. Step 4: For this example, we will search the “Paintings and Sculptures.” Selecting this will send us to the “Paintings and Sculptures,” search page. As you can see, selecting a medium will allow for even more options to narrow your search and find exactly what you are looking for. Step 5: Search for the paintings and sculptures that you want to see. By clicking on the “Classification” or “Genre” options, a dropbox menu will appear with various options that have already by pre-selected. These can be helpful in coming up with ideas, or you can choose to type in your own original search. For this example, we will look for Animals in Art. We can see that there is an option for “animal art” in the “Genre” menu. Step 6: After selecting “animal art” and clicking on Find, we are sent to a page with all of the paintings and sculptures that are categorized under the “animal art” genre. Remember, you can narrow down your search even further by providing more information in the search page. You can also narrow down your search using the various options on the right side of the Search Results page. 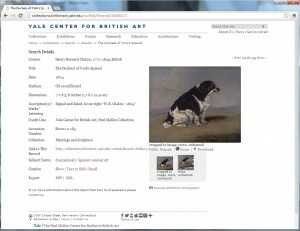 Step 7: Select an image from the Search Results page to learn more about the artwork. Many of the pieces that are part of the Permanent Collection here at the British Art Center have images that can be downloaded and used for your use in the classroom. Simply click on the “Download” option underneath the image, and select how you would like to download the image. 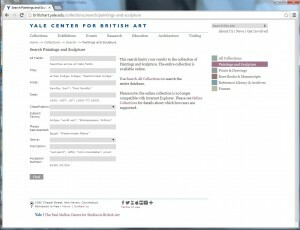 Images that the British Art Center does not have rights to will not be available to download. The online collection is a valuable resource that the Yale Center for British Art provides and understanding how to search the collection is necessary in utilizing this resource. Please feel free to comment with any questions about the online collection and how to use it. I have used this search many times this year, and it is awesome. Thanks sue. Please share any tips you’ve discovered!